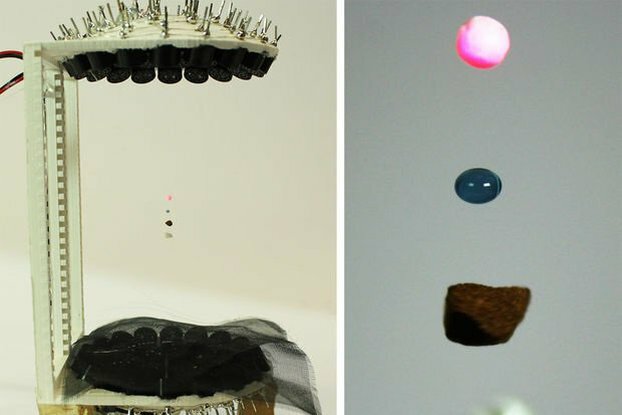 The Waterdrop Machine is a science exhibit/device that allows one to study the anatomy, behavior and timing of a falling drop of water and its collision with a surface. It does this using a microcontrolled UltraViolet LED strobe, Infrared sensor and a constant pressure drip delivery system in combination with a UV fluorescent dye (D & C #8 Green), (dye safety info) added to the water. 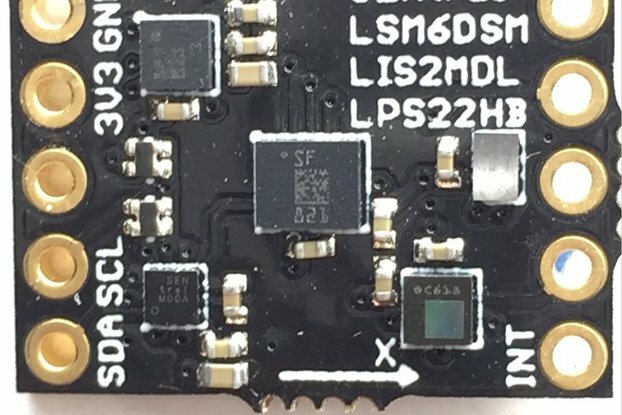 For greater detail on it you can look at the posted pictures and video as well as the instructions in .pdf format (under datasheet on this site). 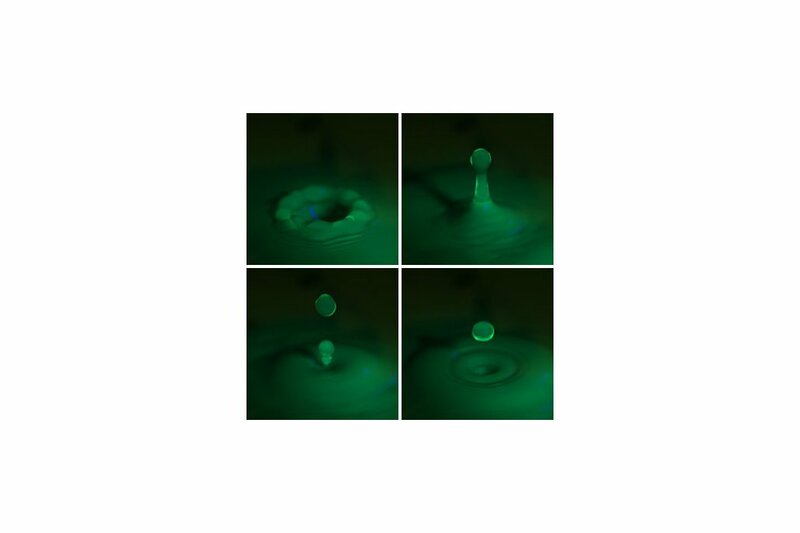 Looking at waterdrops under a strobe light has been around for awhile. The waterdrop machine takes it a step further. It allows the realtime viewing of the drop and its impact with a glass surface, a standing wave in the water or a calm water surface. The impact event can be viewed in full by controls (knob and scan buttons) that let the user position and move the drop throughout the event. Additionally an LCD display provides info on the drop frequency and event time so the user can quantify the drop timing process. Also the waterdrop machine has a single-shot strobe feature which allows for taking high speed photos of the water drop with an appropriate digital camera. I originally created this device to satisfy my own curiosity but have found that is a popular and facinating science exhibit with both adults and youth. It makes a great unique hands-on classroom science exhibit to demonstrate STEM concepts. The Waterdrop Machine operates from an included 120VAC to 12vdc wall wart type power supply with a 6ft cord. The water pump is a long lasting brushless DC type. The Waterdrop machine has been fully tested before shipping and comes partially assembled for ease of shipping. 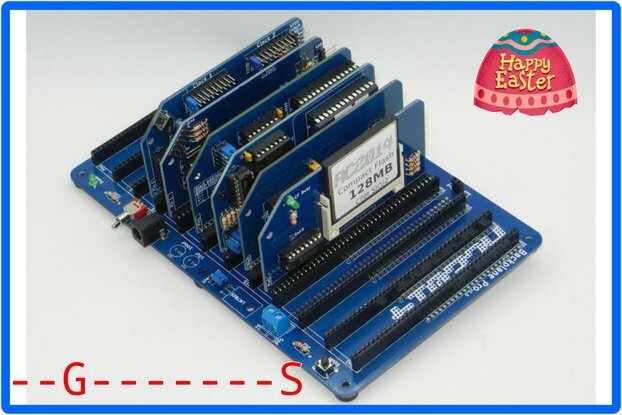 It requires only the installation of several screws, connecting of several tubing pieces and plugging in of electrical connectors to the circuit board. The Waterdrop machine currently only ships to the continental USA, no shipping to Alaska/Hawaii or international, Shipping is by UPS Ground Item ships within 2-3 business days of receipt of order.